Do you have a house, mobile home, some land or even a landlord that no longer wants to deal with a renter? 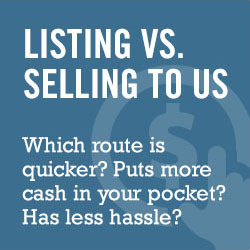 We are house buyers in Tucson, AZ and want to buy your property. Finally, be done with your property and give us a call at 520-433-9298 or fill out the form below for an all-cash fair offer on your property today.